For me, it is a belief that I place my confidence in strongly enough to motivate me to put that belief into action. I believe in marriage. I believe that I must be loyal and faithful to my husband. I believe that in my marriage I must give 100% of myself. I believe my husband will always put me first, think about me before himself and make my life happy and full. I place my full confidence in my marriage and I work at it with everything within me. Except…1 out of those three beliefs has brought me pain in the past because it’s not actually a truth. True! I do believe in marriage (wholeheartedly). I believe that I have responsibility in my marriage to be loyal, not quit, be faithful, and give everything I have to give (I am confident of this as truth). However, I have believed that my husband would always put me first, never disappointment me and make me laugh daily so that I would be the happiest I could dream of being. Guess what? Not true. It’s a misplaced belief. It’s probably more like fantasy. Yet, that belief has motivated many of my negative actions that I am ashamed to say…have not been very admirable. This happens to all of us. 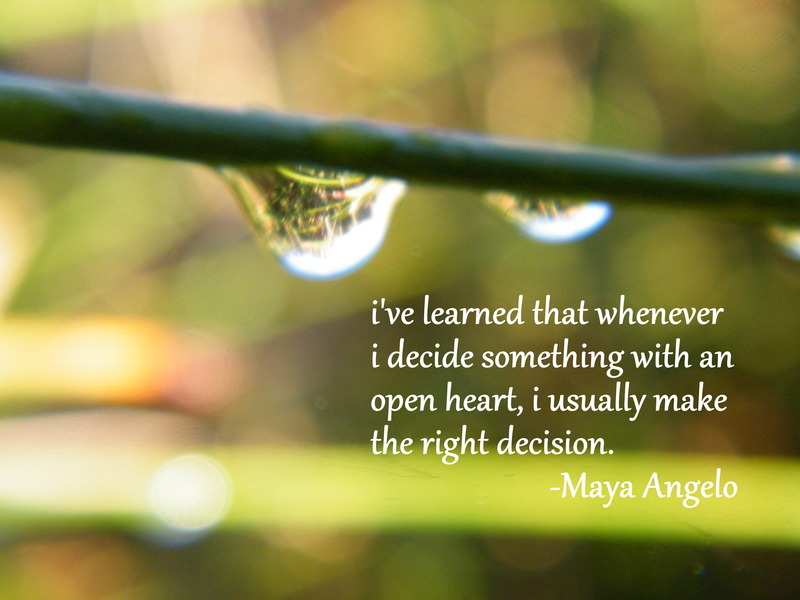 When we believe with our whole heart…we act. Sometimes good, sometimes bad. Mistakenly, we believe that faith in something is good. It is when we believe truth. However, when we believe something that is not true, that is when we get into trouble. We all do it. The problem with this is that once we put our faith into something and it doesn’t “work” (the way we imagined it), we have a tendency to give up and think that “faith” doesn’t work. We tell ourselves that we no longer believe…and we quit. That, my friend, is not faith. Faith is a conviction and deep assurance and confidence. We all have faith. We do. The things, people and deities we believe in may vary but some are similar. I have faith that when I hit the light switch, I am going to get electricity. I don’t even have to give it much thought anymore. I am a believer. I believe that when I put the key into my ignition, my car will start. I jump into it and turn the key before I realize it most of the time. I trust that my car will take me from my home to wherever I am heading. I believe that gossip creates a separation between me and the person I begin to talk about. I believe that one day, I or people I love will move from this life to the next. It’s sad but it will happen. My granddaughter and I talked about death this weekend. She is 5 years old. It is not something she wants to believe yet. It is frightening to her heart. Nonetheless, death is a truth that cannot be changed. I believe in spiritual laws like sowing and reaping. My actions, words and thoughts will produce a result, every time! Period. Therefore, I believe my best chance for good results is to apply wisdom. I rely on the truths I find in the proverbs and the Bible. I also believe that I can learn from the wisdom that others might share with me…my parents have given me wisdom, my friends have shared wisdom, and I have mentors who have spoken wisdom that I can practice. I also believe that there is a God. I haven’t always acted like I did. I haven’t always allowed my motivation to cause me to practice this belief…but I do know in the depths of my heart…that He is. Over the years, I have discovered that some of the things I believed about God are actually not true. Some of those motivations moved me to do some embarrassing actions. Some of those beliefs caused me to act like a spoiled little brat much like a child who has expectations of a parent that are unrealistic and then when he/she does not get their way they throw a tantrum. I have had to examine, test, and try my faith (beliefs) weighing them for truth and work with what was inaccurate. Believe me there have been many. God has also tried my faith. Interesting. I have a totally new concept of what this means now. He is not trying me to see if I am faithful…He is trying what I call faith to see if it holds water….if it is true or not…if my belief works or is a figment of my imagination. Because otherwise, I walk around with such a strong conviction that my actions and motivations are so right when all the while…I am believing something that is not actually based on truth and doesn’t work. So, my “faith” gets tried. When it doesn’t work…I want to quit. When what I should be doing is finding out where I am missing it as far as what I believe. An example: if I put the key in my car and it doesn’t start, do I just get out of the car and say, “forget it, that thing doesn’t work. I can’t depend on it. This is just garbage. Why did I put my trust in this thing to take me to town?” No, I don’t. I actually begin to think, “What’s wrong? What have I done that might have caused my car not to start?” I then look to see if I can find an answer: did I put enough gas in it (or did I believe that I could go 5 more kms/miles)? Did I leave my lights on and run the battery down (did I believe that I didn’t have to do all the checks before exiting the car)? Did I misuse it causing a problem that I now need to fix (was I ignoring the safety rules and wreck the car)? Usually, unless the car is so old that it has completely stopped, there is something that I need to change so that I can get it going properly again. More times than not, I have practiced a wrong belief-I am notorious for believing I can get one more mile when the fuel gauge tells me it needs gas! If you have bitter jealousy and selfish ambition in your hearts, do not boast … For where jealousy and selfish ambition exist, there will be disorder and every vile practice. (quote from James). Whether you believe in spiritual laws or not; whether you believe in God or not, can you think of any times in your life that those quotes have been true? 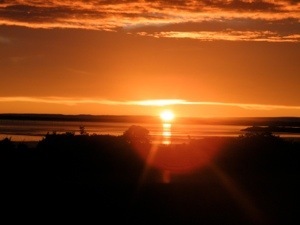 I have believed (not consciously, but in actions), that I could get by with strife in my life. I have. I know I believed that because I have talked behind my bosses back (I was a whisperer). Come on. You have, too. I have also paid the consequences for it. I felt the pain when I was not trusted like I wanted to be by my boss(es). I have acted on jealous motivations and believe me…there was disorder and vile practices (I do not…I repeat, I do NOT like my jealous self)…I did not like the things I did because I was jealous about something. It was a misplaced belief that needed to be tried so that I could fix it. That is how faith gets tested and tired. Guess what, I no longer believe that acting out of jealousy is an acceptable behaviour for my life. I did not like what I “reaped” when I did. I have been through that test and I have a sure, secure, strong, stable belief that jealousy is not good, does not produce well and I want to stay far, far, far away from it. No one will convince me otherwise, I have had my faith in jealousy tested. The test proved to me that it did not bring the results to my life that make me happy, safe, peaceful and healthy. My faith in jealousy had to change. The conclusion is not that faith did not work. The conclusion is what I believed did not work. If I wanted differing results…I needed to change what I believed in. I have learned to believe that I do not have to get involved in every controversy…it leads to quarrels. Sometimes, I offer advice. Sometimes, I join a conversation where I do not agree and I share my wisdom. I have learned; however, that, just like me, everyone on earth has the RIGHT to work their journey out to the best of their ability and gain wisdom as they go. Therefore, I can respect a person’s position, not judging them as right or wrong, and not feel like I have to be the authority in their life to make sure a change happens. Maybe, just maybe, I need to try my position in the conversation and see if it holds truth or not. I might be totally right (for my life…I don’t have to take their position as right for me) but I don’t have to cause a quarrel thus putting my relationship with that person at risk. I have found this to be wisdom. If I am quarrelling, something is wrong. So, all that being said, I have had a very faith-trying 5 months. I would like to share my experience. 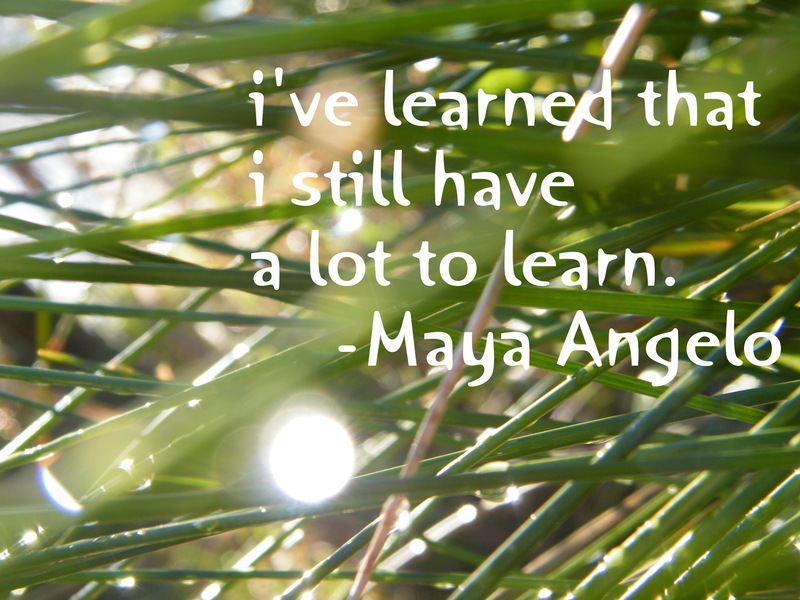 Hopefully, you might find some of the things I learned inspiring. Join me by reading the next post if you are interested in hearing my “faith” story. 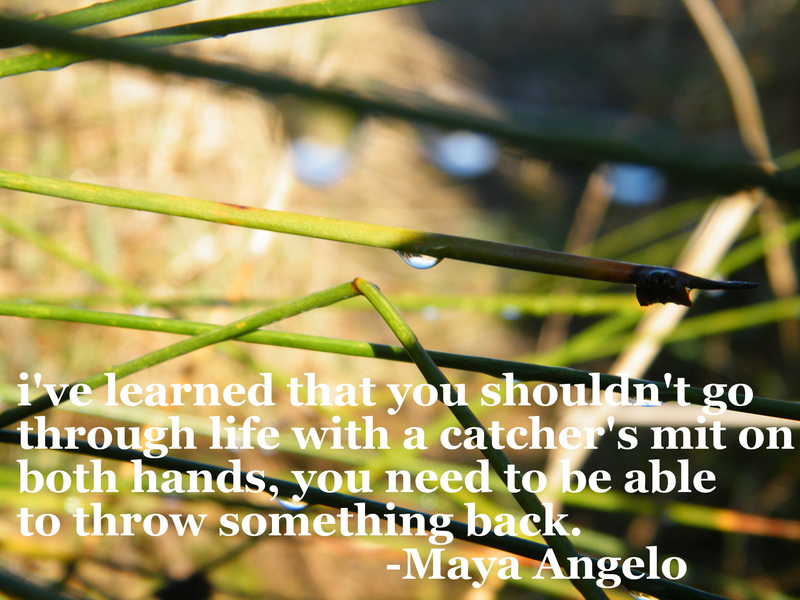 BTW, I thought I had learned this lesson…but…I learned I still have a lot to learn (you are so right, Maya Angelo). The fun part, amongst the difficult parts I have gone through, is that I have had so much wisdom coming at me that does work and I am having a great time seeing the changes as valuable. Let me ask you a question, do you have some things that you believe and practice that are not bringing you the kind of results you have dreamed of for your life? Here’s some Wisdom: Have an objective look (test/try them) before you reach the point of needing to have those beliefs tried for you…it’s much easier if you do the testing. I hope you have a great week…it’s Monday for me…for those of you still living your Sunday…Monday is looking pretty good. Whew!